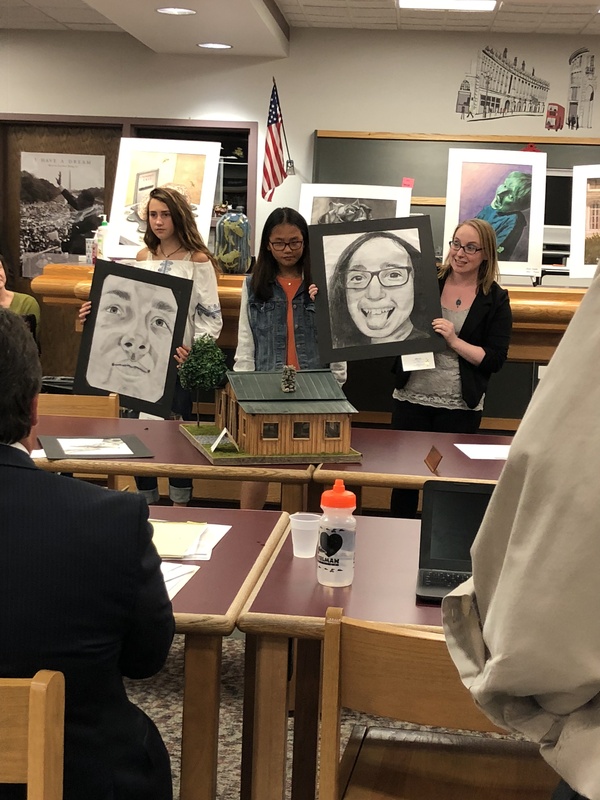 On Tuesday, June 5, 2018 the Board of Education honored student artwork at their meeting. 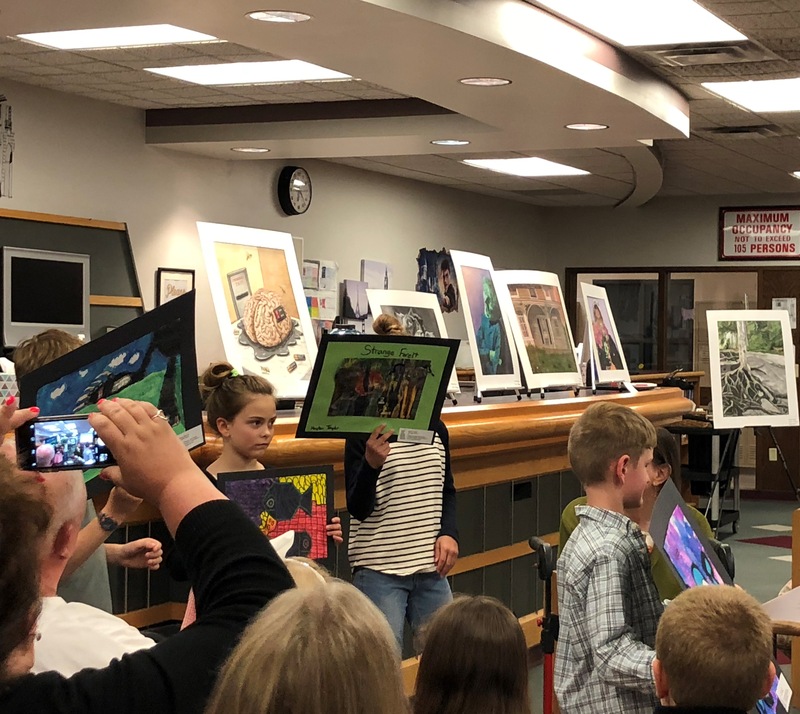 Artwork was showcased from Kindergarten to twelfth grade. Mrs. Lindsley-Barton, Ms. Ashman, and Mr. Hyatt announced each student and their award. 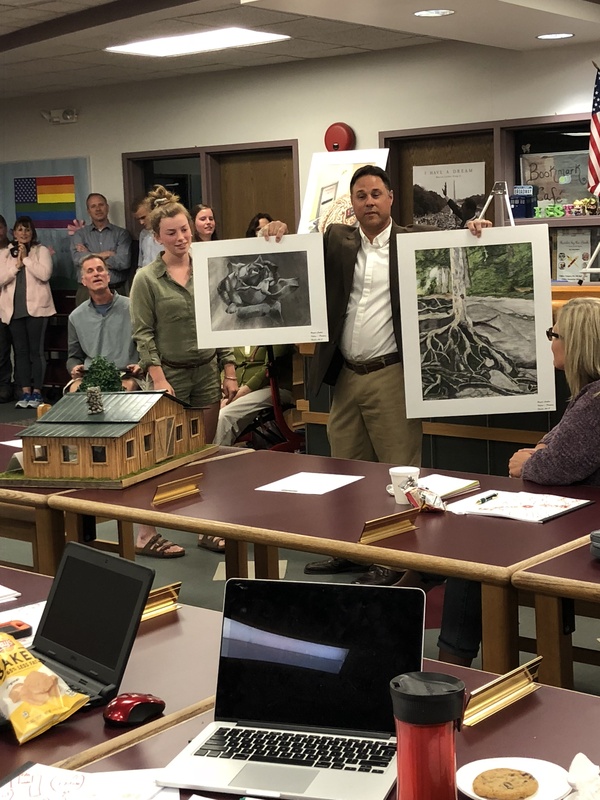 The students showed the board members their artwork. The Board of Education president, Mr. Neugebauer presented each student with a certificate.